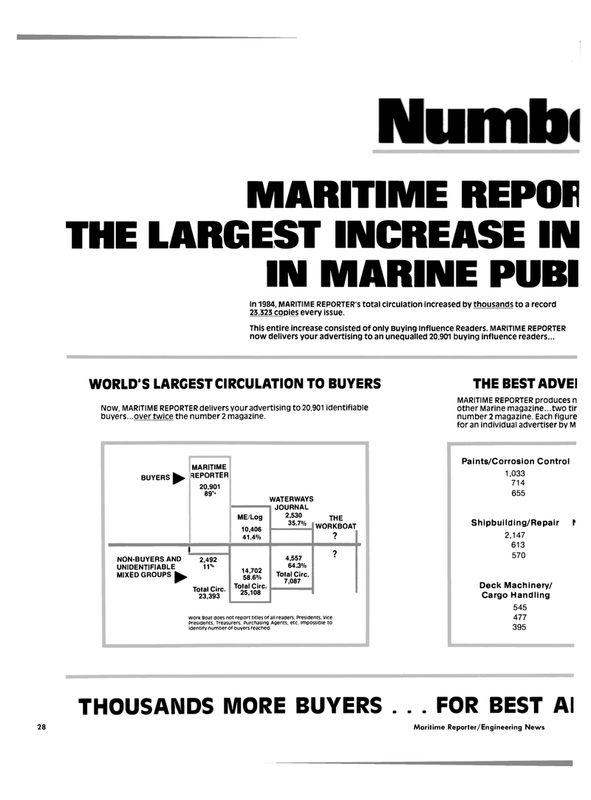 In 1984, MARITIME REPORTER S total circulation increased by thousands to a record 23.525 copies every issue. JOURNAL 2,530 35.7% THE WORKBOAT ? Presidents, Treasurers, Purchasing Agents, etc. impossible to identify number of buyers reached.